All the techs are knowledgeable and quite professional. 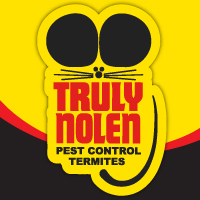 Our Truly Nolen guy did a great job. He had a long pole with a brush on it and removed any spider webs outside in our Lanai. He looked for wasp nests and treated our garage when I told him we had a few ear wigs running around. He didn't short cut anything even though it must have been in the 90's outside.